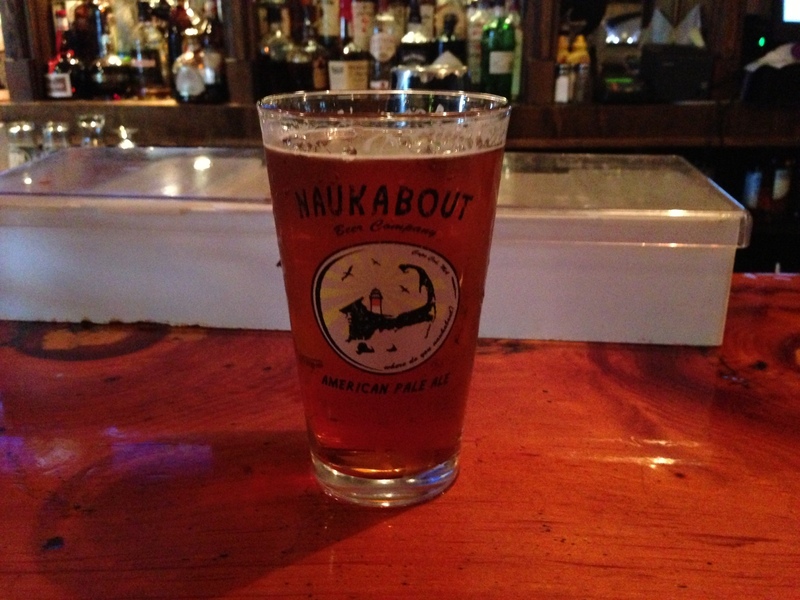 I spent the weekend on the Cape and discovered a new pale ale, Naukabout, from the Naukabout Beer Company. I found it to be a light, refreshing pale ale, with strong, but not overwhelming hop character. It definitely hit the spot. From the website, Naukabout means: (verb) — doing what you love to do when you’re finished doing what you have to do, and (noun) — the places, events, & things that reflect this lifestyle. I’ll drink to that. The brewery’s founders are from the Cape, but production is currently contracted out to Paper City in Holyoke. It’s great to see more and more small regional breweries popping up all over the place. It seems like quite a few are getting started by contracting their production for some time before making the decision as to whether or not it makes sense to invest in a full-scale brewing operation.